Ready for the winter travel adventure of a lifetime? Get ready to travel to Whistler Canada! Why settle for less than the best on your next ski vacation? Choose the number one ranked mountain resort in North America, Whistler, British Columbia, Canada. Featuring dual mountains, epic skiing and snowboarding, more than 250 shops in a pedestrian village, 95 restaurants, pubs and bars, fantastic accommodation rentals, cross-country trails, spas and arguably the best heli-skiing in the world. In short, Whistler is everything you have ever dreamed in a ski vacation. Confirm your Travel Documentation: You will require a passport for travel into Canada from outside of the country by air - even from the USA. Depending on your country of origin you may also require a visa so ensure you have all your travel documents in place before you book your flights and vacation rental. Visit the Citizenship and Immigration Canada website at http://www.cic.gc.ca/english/ for a complete listing of countries whose citizens require visas to enter Canada. Arrange for Transportation from Vancouver to Whistler: If you are flying or transferring into Vancouver you will need to arrange transportation to Whistler Village. Car rental is the fastest method to get to Whistler, other options are shuttle bus, private car or if you are very adventurous you can book a helicopter. The trip can take between 2 - 4 hours depending on the method and conditions. Be certain to plan this leg of your trip in advance for timing the connections. Location: The area where the rental is located is of the utmost importance when selecting the best place to stay for your holiday. The great thing about Whistler is you can choose accommodations in many settings, right in the Village action or overlooking the woods, mountains, a lake or the Blackcomb ski in and ski out rental options. You can base the location on what you prefer in terms of nature or activities such as downhill or cross country skiing. The proximity to Whistler Village itself will also determine the nightlife available and can include walk ability to such fun as night skiing, fine dining, lounges, pubs and dance clubs. The most important step in your vacation is to choose a location that will provide everything you look for in terms of vacation fun. Amenities: When choosing accommodation in Whistler Canada, a review of the amenities is a great way to begin with your selection. Features such as en-suite laundry, parking, full kitchen, fireplace and linens among others can help in choosing. Luckily most options will all have these amenities and you will even find Whistler accommodations with a private hot tub, sauna, pool and finishings such as granite, marble and beautiful wood details if that is your preference. You will really enjoy your own space after a long day full of fun when you choose your mountain accommodation with care. All rental options should provide photos and finishings to be reviewed prior to booking to ensure you get what you pay for. Outdoor Features: Many rentals have even more to offer and will have features such as a balcony, patio and an electric or gas BBQ grill. Not to mention common recreation areas with heated outdoor pool and hot tubs to relax the day away. Always confirm that the rental has the features you need throughout your stay. Most options will include ski or mountain bike storage and often are walking distance to the real fun - the night life in Whistler Village. Another way of choosing the best accommodation in Whistler is by looking at the suitability of the property. Many properties will not allow pets and often rentals prohibit smoking indoors. Remember to choose an option with rules and policy you are comfortable with. 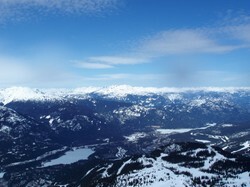 Read more about Whistler and Have a Great Trip!